This past weekend I took a cruise on Lake Travis. It was the first time on Lake Travis for me. It was a blast. 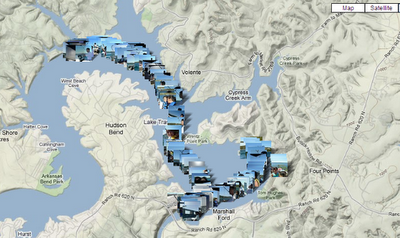 I rented a pontoon and drove around the east part of the lake. I checked out Hippie Hollow, the Oasis and Mansfield Dam. Its been a busy month for me. I closed on a new house March 10th, 2010. I went to Charleston, South Carolina on March 12th for a wedding for and old college friend. Been trying to move in ever since and get it ready. I have absolutely no furniture and will be starting from scratch. First things I got was a bed, TV and recliner. I also had a Water Softener installed and gutters installed all around the house. Lennar only had front gutters installed. Here are all the things I really like about my house. If you are looking for a new house I would consider only a brand new house at this point. Look for these little details. They make a big difference in the long run and believe it or not, the cost of a new build really isn't that much difference then a used home. This list is, admittedly, a list of "technical" things, since Im a technical guy. If you want to see a listing of non technical items then just do a google search. Brand New Construction using the latest in building technologies and meets all the high-efficiency code of Austin Green Building Program. All new homes have to be built with the latest building codes. Most of these codes require better building techniques and money saving energy efficient materials to be used. A new home will be warrantied for at least one year and many major items warrantied for up to 10 years. 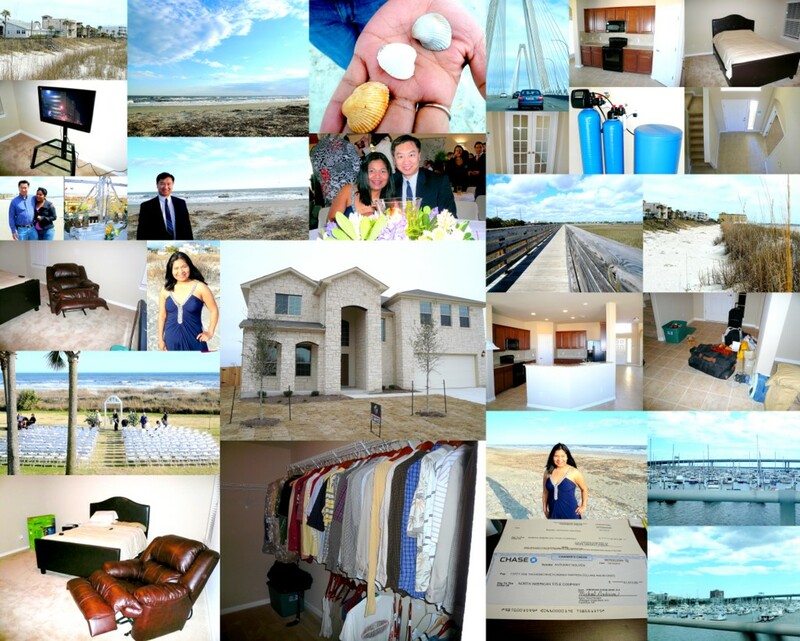 Why settled for a home "as-is" when you can get warranty and some peace of mind for the same price or better? Look at JD Power's rating for builders in your area. 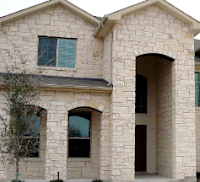 Here is a link to the builders ratings for Austin, TX. LP TechShield, Radiant Barrier used on the roof to block 97% of the radiant heat of the Sun. This alone will save allot in cooling and heating the house, especially in the hot summer months of Texas. The barrier typically reduces heat in the attic by up to 42%, which equals to about a 17-39% monthly savings on cooling costs. There are many suppliers of radiant barriers and the technology is relatively simple and very effective no matter who you use. Existing homes can also be retrofitted with the technology to achieve similar results. TJI Engineering Wood used to support the 2nd floor, this prevents squeaks in the floor. TJI joists resist the bowing, twisting and shrinking that can lead to squeaky floors. TJI joists save on labor because they are lightweight and install quickly. The beams are stronger then lumber wood and can span much greater distances without additional support beams underneath. The technology is also "Green" since you can use scrap wood in the OSB layer. Lime Stone exterior, just looks dam nice. Any brick or stone house always looks better then a non brick house. While it is just a facade and provides little structural support, it still acts as a thermal mass to help moderate the house's overall temperature. On this house the Lime stone is literally 4 inches thick. They say their is little insulating value to the stone, but I still feel like it takes longer to heat up in the morning sun compared to a wood or vinyl sided home. 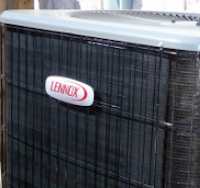 High Efficiency HVAC system - a 14 SEER Lennox Air Conditioner and heat pump - costs less to keep the house cool and heat. If the temperature falls below freezing then a back-up radiant heater kicks in. Dual pane low E Windows . The glass is coated with a thin layer of tin. 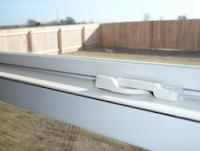 This absorbs the UV rays and prevents the heat from entering the house. The window frames are also made of Vinyl which is more insulating then aluminium when tends to conduct heat more readily then vinyl. Seven zone Sprinkler system that shuts off automatically with use of a rain sensor. This wireless device has a ceramic sensor that communicates to shut-off the system if it is wet outside. Jump ducts in every bedroom for better circulation and energy efficiency. Typically, when you close a room door the ventilation system has to work harder to push air through the closed door. By adding a vent to the each room the system can just push the air through the vent for better air flow. The only hassle now is that I have more filters to replace in each room, but this is a better way in the long run. DSC Security System with wiring for CAT5, telephone and Fiber Optics. I have a fiber optic connection at the road. This should give me the fastest possible Internet connection. The house being pre-wired means that an installer doesn't have to worry about fishing cables through all the walls. I don't cook much, but I love the look of Granite Counter tops in the kitchen! For what ever reason, after looking through so many homes, a plain laminate counter top just says old and dated to me. Yes, Granite doesn't add much functionality to a home for a guy that doesn't cook much, but dam a Granite kitchen just looks awesome! It is one of those things that catches the eye and makes you fall in love with the place. Click the picture to see the entire counter top.